The 18th-seeded ’14-’15 Tampa Bay Lightning were simply shut down offensively in this series. They only scored eight times during the sweep and only averaged 23.8 shots on goal per game. Meanwhile, the 15th-seeded ’95-’96 Colorado Avalanche scored ten more times than Tampa did and outshot them on average by about 13 shots per game. The trio of Peter Forsberg, Andrei Kovalenko and Martin Rucinsky combined for 24 points during the four games. Forsberg was responsible for nine of those points, which were a team-high. Kovalenko was tied for second in overall scoring at eight points with Claude Lemieux. Rucinsky finished as the team’s leading goal-scorer with four while Forsberg was tied for second with three goals with Joe Sakic. However, two of Sakic’s three goals turned out to be game-winners. Lemieux was the only other Av to score more than once. Kovalenko led Colorado in helpers with seven while Forsberg and Lemieux were tied for second right behind Kovalenko with six assists each. Goaltender Patrick Roy was not busy at all during this series. He only saw a total of 95 shots over the course of the four games. He finished the series with a 4-0-0 record to go along with a 2.00 goals against average and a .916 save percentage. While Tampa’s offense was not high-scoring, it was somewhat balanced, at the top at least. Nikita Kucherov, Tyler Johnson and defenseman Victor Hedman were all tied for the team lead in scoring with four points a piece. Steven Stamkos was alone in second with three points. Johnson was Tampa’s leading goal-scorer with three genos while Kucherov and Stamkos were tied for second with two. They were the only Lightning players to score more than once. Nine different players registered an assist for Tampa, but only two of them had more than one. Hedman tallied four helpers to pace the Lightning while Kucherov was second with two. Goaltender Ben Bishop struggled in this series. He was pulled only once in this series for backup Andrei Vasilevskiy, but his numbers don’t look good. He posted an 0-4-0 record with a 4.25 goals against average and an .878 save percentage. 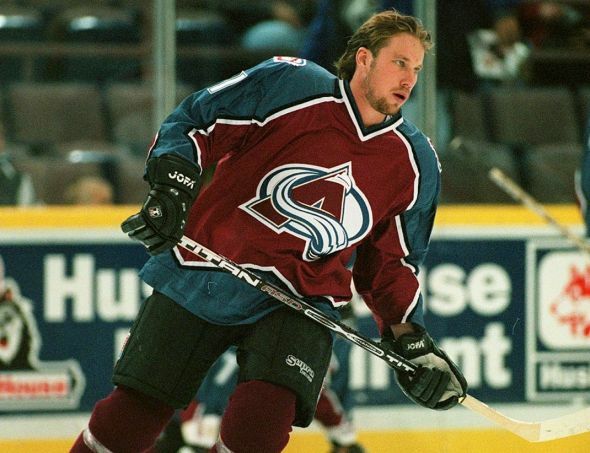 The ’95-’96 Avalanche are making their second appearance in the Ultimate NHL Playoff. They debuted in the inaugural UNP, but only made it until the Third Round before being eliminated. The franchise best is the Quarterfinal, which was reached by the franchises representative in last year’s tournament. Up next in the Third Round, they will face the 31st-seeded ’06-’07 Nashville Predators, who upset the 2nd-seeded ’47-’48 Toronto Maple Leafs in five games in the Second Round. The ’14-’15 Lightning are the third different team to represent the franchise. In the inaugural UNP, the franchises representative made it to the Third Round, however, the franchise has been eliminated in the Second Round in the last two tournaments. Up next, to conclude the Second Round, the 11th-seeded ’98-’99 New Jersey Devils face the 22nd-seeded ’09-’10 Vancouver Canucks! This entry was posted in 2nd Round, Ultimate NHL Playoff and tagged Andrei Kovalenko, Andrei Vasilevskiy, Ben Bishop, Claude Lemieux, Colorado Avalanche, Curtis Leschyshyn, Joe Sakic, Martin Rucinsky, Nikita Kucherov, Ondrej Palat, Patrick Roy, Peter Forsberg, Second Round, Steven Stamkos, Tampa Bay Lightning, Tyler Johnson, Ultimate NHL Playoff, Valeri Kamensky, Victor Hedman. Bookmark the permalink.